The concept of Industry 4.0 together with its components and tools is discussed. 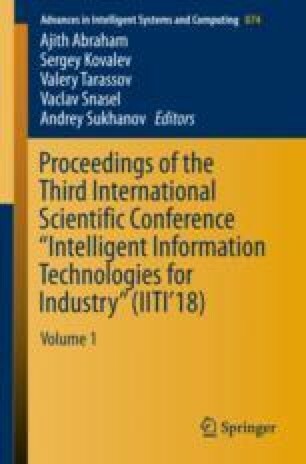 An increasing role of agent-oriented and social technologies for developing smart enterprises, cyberphysical systems, Internet of things, collaborative robots is shown. The arrival of these technologies opens new frontiers in growing and studying artificial societies. A representation of networked enterprise as a mixed society of natural, software and hardware agents is suggested. Some fundamentals of agent theory and multi-agent systems are considered, and GRPA architecture is analyzed. The resource-based approach to enterprise modeling is taken and the principle of dependence of formal apparatus on both agent specification and architecture is formulated to justify the need in new network models extending conventional resource networks. Three basic agent types are introduced and a formalism of goal-resource networks to visualize and simulate communication between agents and formation of both multi-agent systems and artificial societies is presented. Colored goal-resource networks (CGRN) to represent these basic agent types are proposed. Some examples of communication situations and behavior strategies for «robot-robot» and «human-robot» interactions are given. This work is supported by Russian Science Foundation project №16-11-00018 and Russian Foundation for Basic Research project №17-07-01374.